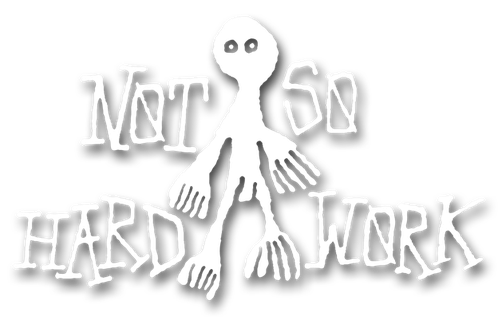 WATARU San Pre." 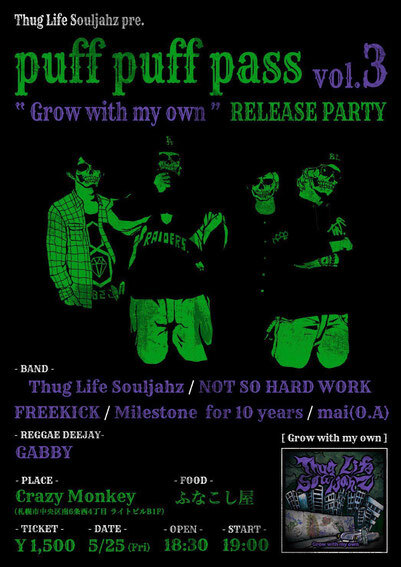 Kick Up Night" "AIRFLIP "Clover Voice" Release Tour""G B A Split Tour Final"
Not So Hard Work Pre." 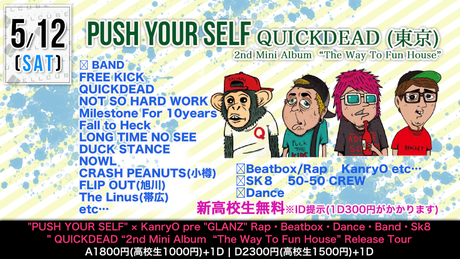 TAKE OFF YOUR PANTS AND JACKET Vol.10" "QUICKDEAD "The Way To Fun House" Release Tour"
Not So Hard Work Pre." 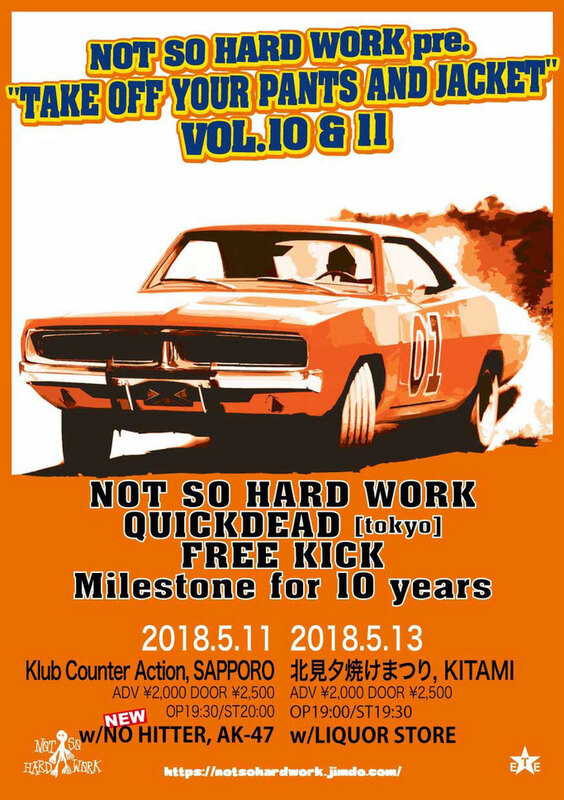 TAKE OFF YOUR PANTS AND JACKET Vol.11" "QUICKDEAD "The Way To Fun House" Release Tour"
‪TAGNUTS pre‬." 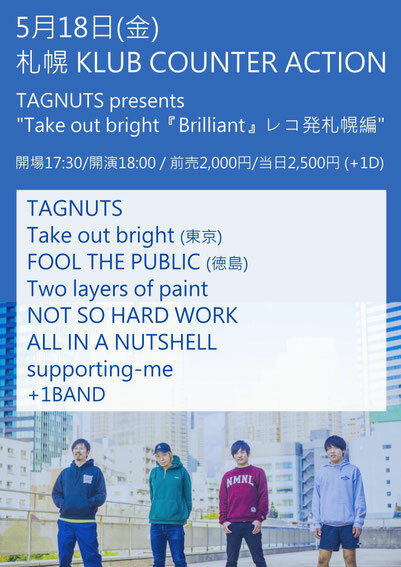 ‪Take out bright『Brilliant』レコ発札幌編‬"